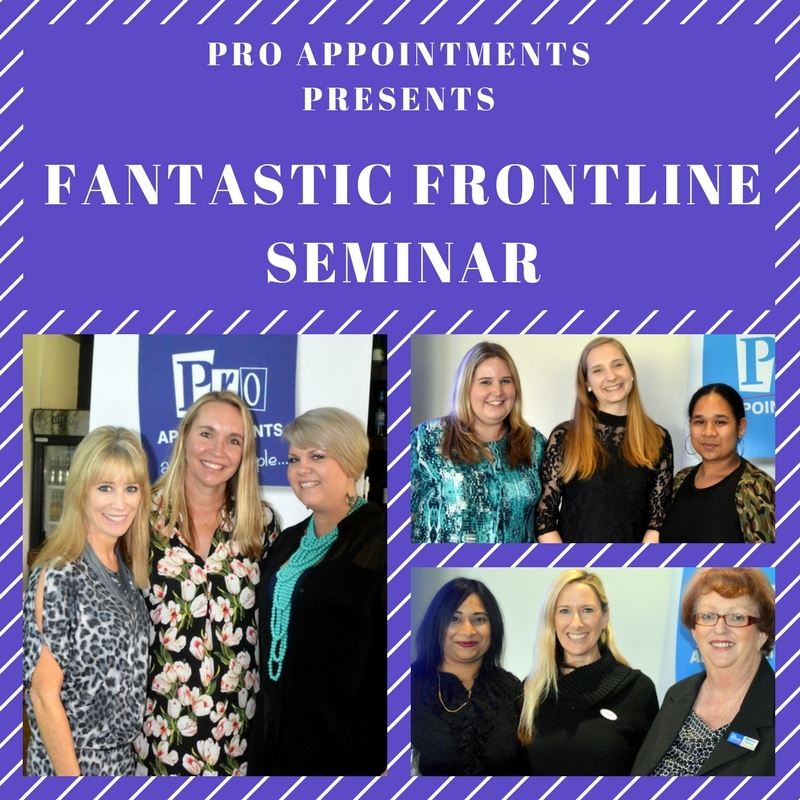 Pro Appointments hosted the Fantastic Frontline seminar at the Mount Edgecombe Country Club. It was a morning that focused on core skills for those employees who are client facing. It added some new and fun information as well as enhanced the skills they already have. Our speakers were Sam Daykin, Kim Worman, and our very own Cindy Norcott. It was an opportunity for some networking, as well as for some of our own temporary candidates to gain some great new ideas.